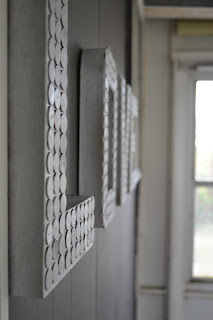 I recently found a great DIY project on Elle and Blair. The idea is simple: cover block letters with coins. 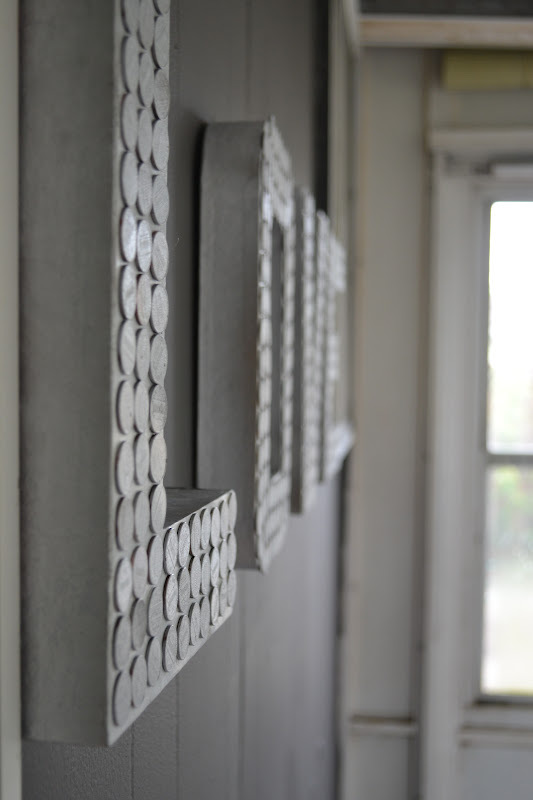 I have been looking for something to put on an empty wall in the sun room. I grabbed these great block letters from my local craft store. 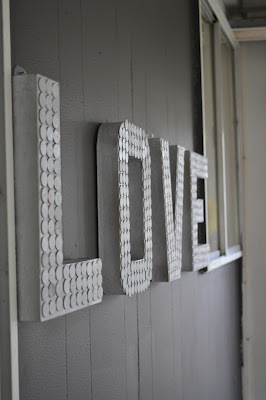 I also used the same block letters in the Home Sweet Home project. 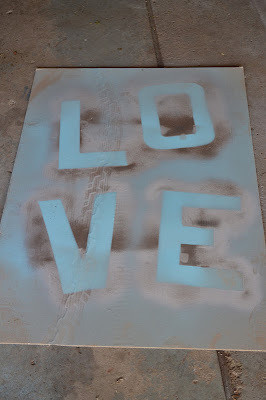 Next, I spray painted the letters silver. After a really long time of sorting pennies - I found these two really cool coins. I felt like I could be an obsessive collector for a few moments - but don't worry, that feeling passed. I laid the pennies out alternating heads and tails per letter. I thought this glitter spray paint would be enough to add sparkle and glamour to these one cent pieces, but alas, it was not enough. 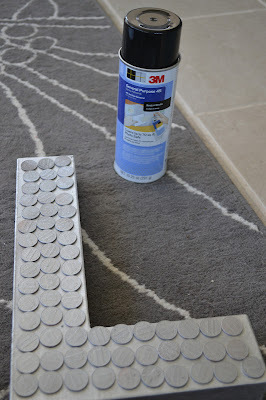 I sprayed the pennies silver first - then followed by the glitter spray paint. Remember all that time sorting pennies - well it was a waste of time. I had a lot of pennies left over. 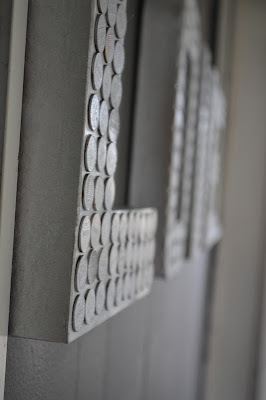 I used a spray adhesive to adhere the sparkle pennies to the letters. As the glue dries I realize I'm already in LOVE. My lovely assistant GB hung the letters for me. After some experimenting - GB found that if we hung them by nails, the weight would tear them down so he found some plastic tabs and hung it that way. It turns out, the small plastic tabs are barely visible to the naked eye. Good job GB! "Whoever fraudulently alters, defaces, mutilates, impairs, diminishes, falsifies, scales, or lightens any of the coins coined at the mints of the United States, or any foreign coins which are by law made current or are in actual use or circulation as money within the United States; or whoever fraudulently possesses, passes, utters, publishes, or sells, or attempts to pass, utter, publish, or sell, or brings into the United States, any such coin, knowing the same to be altered, defaced, mutilated, impaired, diminished, falsified, scaled, or lightened- Shall be fined under this title or imprisoned not more than five years, or both."